When dealing with a climate which can only be described as bi-polar there are two things that are essential: food and liquor. Our local food and drink gurus grace us with their presence and share the best places to drink and eat away your seasonal depression on episode 133 of SLUG Soundwaves. 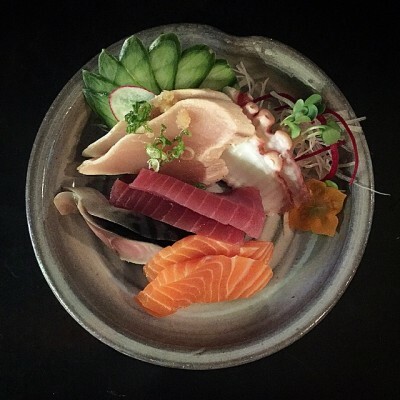 – With 85+ sushi joints in the valley, tracking down the best can be a daunting task but thankfully, we have Jeffery from Yelp to do all the hard work for us. Jeffery knows where to find the tastiest and freshest raw fish dishes here in Salt Lake and we were lucky enough to have him stop by the studio to impart his food-wisdom upon us. – Tolchock Trio, contradictory to their name, were a local four piece who in their 13 years saw a lot of line up changes but managed to break the “Salt Lake Curse” and remain together after gaining popularity. Each member continues to please the Salt Lake masses through a different medium these days as they are all working in the local food industry at fine establishments such as Eva and Takashi. Check out the track, “Hornets” from their 2005 release, Ghosts Don’t Have Bones on this episode of Soundwaves. – Here at SLUG we’re thankful to have Mike Riedel to tell us what to drink. Golden ales, stouts and IPAs, whatever the beverage he has had it and is ready to tell us what he thinks. With local breweries ramping up production to keep us happy during the dreary winter days Mike shares some of his favorites, such as The Hive Winery’s raspberry hard cider and Bohemian’s Smoked Helles.